I just woke up from my afternoon nap, i saw the watch strikes 6pm, i saw my neighbor’s cat who lives below on the 1st story sleeping on my blanket. The white noise from my fan, makes me want to sleep a little more longer, but when i think about it back, i wouldn’t want to make that as an excuse, so i got up from bed, with the confident mind to complete what I had wanted to do. “5K today”, i can do this. I had in my mind the route which I’m gonna go for, it was the same as previous, only taking an extra longer route before coming back home. Unfortunately, my RunKeeper App from my hand phone didn’t get the signal for GPS today, probably due to the weather conditions maybe, and halfway through, I heard the voice from the app goes, distance 0.0 km . Didn’t gave up , just went on with what I had planned and sweat a lot. Upon reaching home and checking if there’s anything i can do about the Runkeeper App website page, i saw that you can add in the activities, so it was a relieve. Plotted out the route i ran, and was surprised to see that i had passed the 5k. 5K done! 🙂 It was good, I’m definitely going for another round of 5K soon again. Here’s what i have learned from today. When you put your mind and effort to it and believe that you can, there will be progress. Today was a Sunday, yet i felt like I have so much energy inside of me because i think i was staying at home the whole day (haha hey its holidays for me) , I’m not so sure what to do, I was at home, and it was still raining, but be it rain or shine, I was determined to go for a jog around the neighbourhood. Keeping fit is a not just merely a target to live up to, it’s a lifestyle, and in order to do that, I have to be true to myself and dedicate my time to run while i have the time. 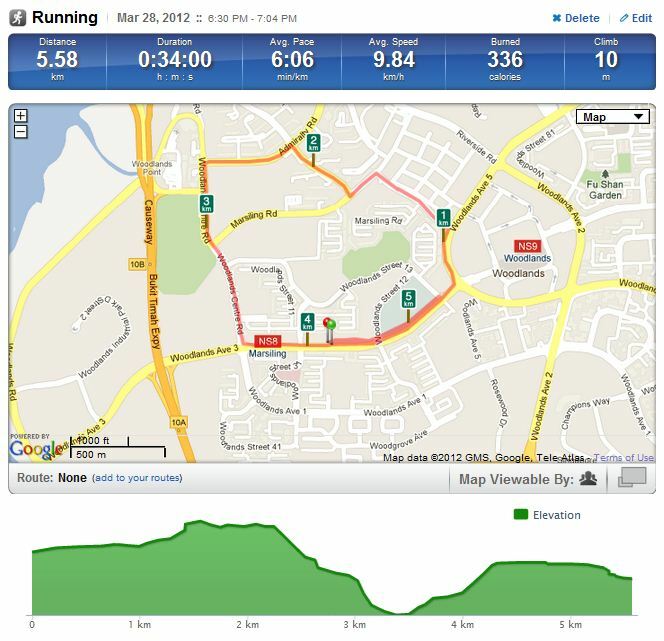 I feel that it’s not really a bad idea to go on a Sunday night jog. After the run, i really sweat from top to toe, I didn’t feel it was my best, but I did persevere a little bit more and push. My liver is getting better and i can breathe better now, I feel my stamina slowly increasing and the more i tell myself that I can do it, the more i actually can do it. 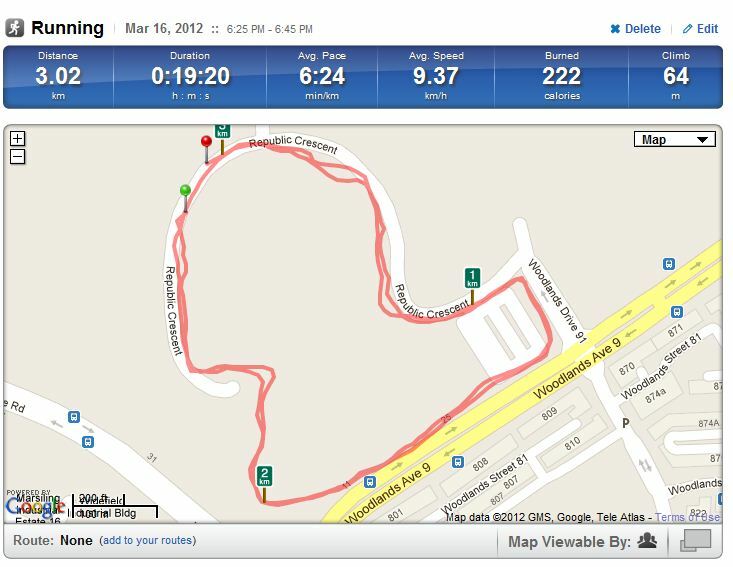 I slowed down a bit, and jog a bit slower upon reaching the end so i don’t pant so hard after. (Oh and i stepped some big nut/fruit on the floor, almost tripped in the wet floor, could have hurt bad and land on some pretty drain railings ) but i didn’t so that was okay. Time to rest, head out for another day soon. 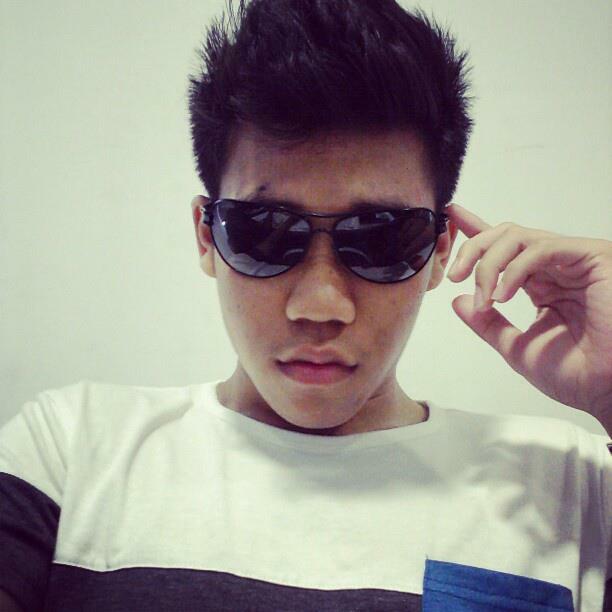 Gonna aim for 5k! This time round, I’ve managed to again pull off another day to jog again. I told myself, no matter whatever i have, I want to do this. 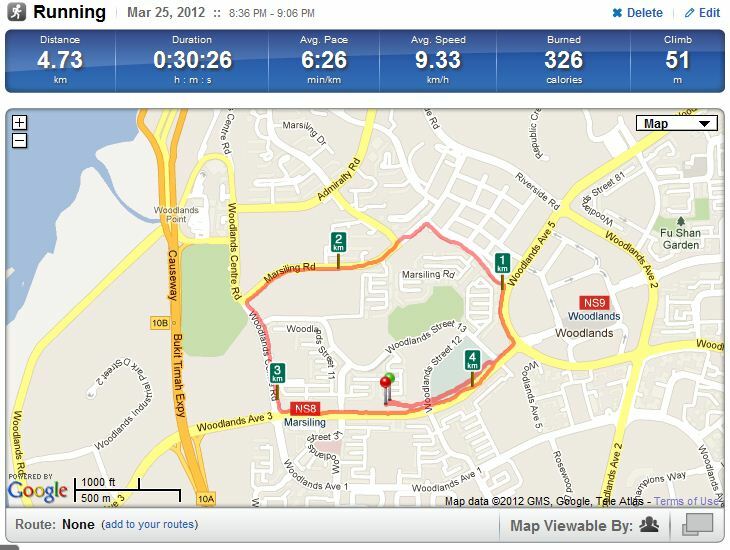 It can’t just be a one time thing, so the day before i had make sure I rest my legs, and to jog again on Friday. However late afternoon, I decided to go to school to meet up with a few friends, and since we are chilling there, I decided to take my jog in school. 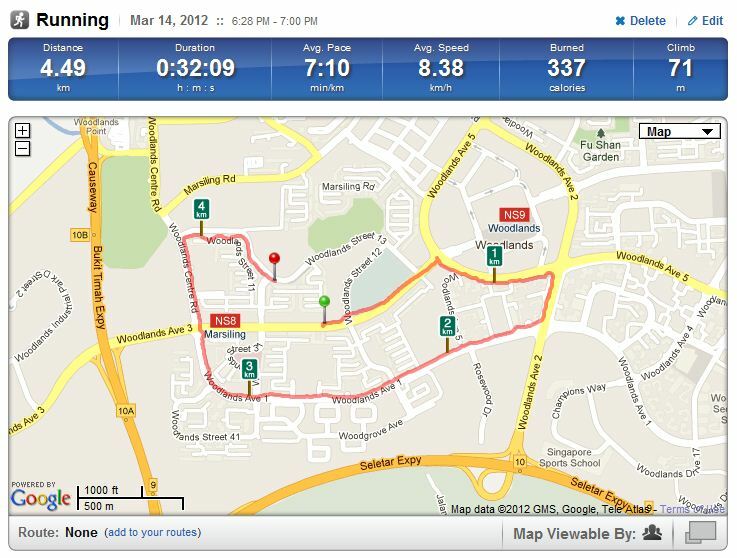 This time round, i had made a two round jog around school in the hot evening sun. Quite different from what i did back on Wednesday, because of all the heat. I do find it a bit harder, maybe because i didn’t have a proper lunch before jogging. I did what I can, and at the pace i was at, i was trying to run faster than what i did before and it did show. However i ran lesser, but it was still a good run for me. My lungs seems to be breathing hard, maybe its due to my previous excessive smoking ‘which I’ve stopped’ and asthma since young. After googling over a few sites, here one really useful website that i found. Its really good to understand why I’m going through such things, and i feel that even things like a small pain. I can now relate to what I been through and use the appropriate actions necessary. I do have some preventive asthma medication, but sometimes i forget to take them. OOPS! Yeah, well at least now i know the effects and what i should be doing. I’ve made friends with an app called the Runkeeper. With this app, I’m actually able to track down the progress I have made through. I’ve made plans to jog, but I was unsure of whether the rain would stop me. It has been raining since early afternoon, so i thought it might just cool down a little bit around 6pm. It still was drizzling. At a point of time a sudden pour of rain just went gushed through, lucky for me, I was still stretching at the starting point near my house. I told myself , “No excuses, I really need to jog ” , and so I just did. They say the first step is the hardest, which is to take the jogging shoes and take that step to go out of the house and go for it. Its all in the mind. This is usually the route i would take. I love long distance around the community jogs , it helps to keep my mentality thinking, especially when I’m ‘actually’ far away from home, and that I need to reach home because its just coming by anytime soon now , and I need to continue going. I’ve got to be honest with myself. Keeping track of time, making sure that I eat healthily, exercise consistently, is a really hard thing to do. My plan for operation WNF (Weight And Fitness) hasn’t been smooth sailing. At certain times, i feel like I can do it, and one point of time i wasn’t able to resist the temptation of getting a double cheeseburger, or perhaps having a big full meal of chicken curry with lots of rice. Though I’ve reduced the amount of tendency to stop eating crackers, tidbits of sorts, later in time, I’ll just eat a lot in one go suddenly. However, I’m feeling more motivated now, that I’m actually posting about it, letting it out, understand that success is earned. I’m not giving up, and I want to, really want to prove to myself that I can do it. I want a body that I can be proud off. I’m glad that so far, my health is improving, i feel healthier definitely. I’ve asked a friend about the different types of gym trainings for alternate days, and started training of my Biceps and Back today, I’ve still yet not really know the posture of doing my rolls which is for my back today but so far my back is feeling the pain now which is good. Currently, I’m going on low weights which I don’t mind doing actually. Things are good so far and a good progress. Need to work out more and focus on the biceps because I felt like I wasn’t doing much. Biceps : 3 sets of Dumbbell Curls, Hammer Curls, Standing Cable Curls and the Ez Bar Curls. Back : Seated Cable Rows, One Arm Dumbbell Rows and some good Wide-Grip Lat Pulldowns. Operation Weight and Fitness is a section dedicated for the progress that I’m going to go throughout the year to plan to lose weight and get fit , and hopefully with this section right here, I’m also able to share with you guys my experience and how I’m doing. Hopefully to share something with you guys soon.